Hatchbacks like the Honda Fit are consistently popular around Los Angeles, and for good reason—these versatile daily drivers are great for traversing busy streets and carrying cargo alike. But one of the things that sets the 2018 Honda Fit apart from the rest of the competition is its dedication to safety. 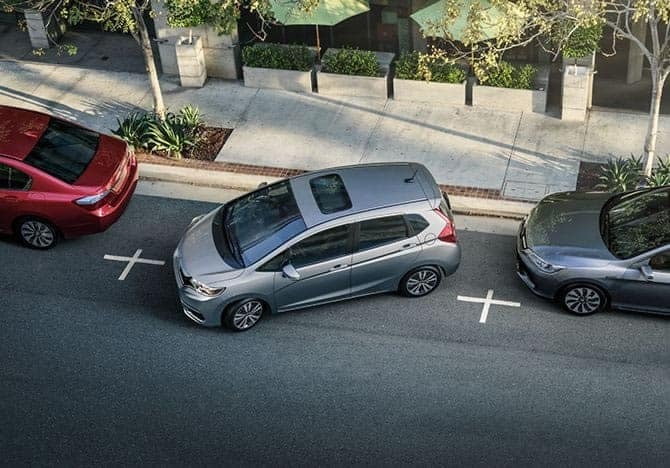 It’s an area most hatchbacks infamously ignore, but the Fit is an exception, boasting a range of advanced safety features to help you drive safer and smarter. Take a look at what you can expect! When this system detects an imminent collision, it activates the brakes to help lessen the impact and protect you and your passengers. This feature uses a small camera to keep an eye on the road markers—if it senses unwarranted road departure, it will take action to help you stay on track. Driving is safer and more convenient thanks to this feature, which adjusts your speed automatically to keep you at a safe following distance from the vehicle ahead. If this system senses that you’re drifting out of your lane without signaling, it adjusts the steering to bring you back to the center. With so many standard and available smart safety features, the 2018 Honda Fit is an obvious choice for safety-conscious drivers across Los Angeles. If you’re ready to see what else this slick new hatchback has to offer, then come on out to Airport Marina Honda. Our wide-ranging stock of Fit models gives you plenty to choose from, and our friendly sales staff is on call to help you find and finance the one you’re looking for. So contact us online, and start driving safer today!